Most people with a critical interest in the Western policies and practices of multiculturalism and mass-immigration have probably heard of Cultural Marxism. This 20th century strain of Marxism produced by the Frankfurt School a.k.a. the Institute for Social Research in Germany, and later in New York where it was affiliated with Columbia University, is responsible for Critical Theory, PC, repressive tolerance, "diversity is our strength," and other insidious tactics and strategies that are gradually stripping away the cultural traditions, ethnic identity, national sovereignty, and historical memory of the European peoples. The British East India Company (BEIC), founded in 1600, made many of its shareholders (many of whom were masons) very wealthy. By the time of its end in 1873, several shareholders were major financiers and had a kind of pre-Fabian elitist philosophy, which eventually played a key role in the establishment of the Fabian Society. For example, John Stuart Mill was the secretary of BEIC (1856-1873) and was named by his father after John Stuart, the head of the BEIC. He was close friends with Richard Potter, the father of a core Fabian Society member, Beatrice Webb, and heavily influenced the Fabian philosophy with his well-known work, Principles of Political Economy (1848). On 24th October 1883, seventeen wealthy socialists, including members of the Society for Psychical Research (1882), met to discuss the creation of a British socialist organisation, The Fellowship of the New Life, which was based on the monastic ideas of the Scottish intellectual, Thomas Davidson. This organisation was dedicated to the "cultivation of a perfect character in each and all" and sought to slowly and progressively transform society through individual example, advocating such ideas as pure intelligence, simple living, pacifism, and vegetarianism. On 7th November of the same year, members of the Fellowship outlined their ultimate goal: "the reconstruction of society in accordance with the highest moral possibilities." However, some members wanted to be more politically involved to aid in this socialist transformation, and so in January 1884 it was decided that a separate society would be founded that actively promoted the project of collectivism. This society was named the "Fabian Society." The founders of the Fabian Society included Frank Podmore (psychical researcher), Edward Pease (member of the Stock Exchange), Hubert Bland (commercial clerk) and his wife Edith Nesbit (author and political activist). 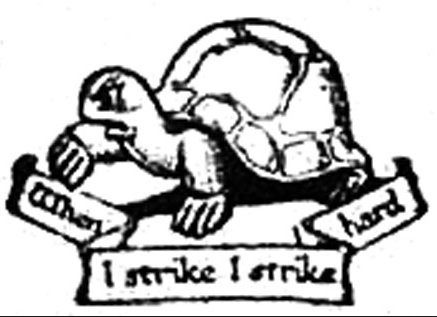 Over a few years the Fabian Society had attracted many influential people interested in go-slow socialism, with members including: George Bernard Shaw, H. G. Wells, Annie Besant, J.G. Stapleton, Graham Wallas, Margaret Cole, Charles Marson, Sydney Olivier, Oliver Lodge, Leonard and Virginia Woolf, Ramsay MacDonald, Emmeline Pankhurst, and Sidney and Beatrice Webb. In the decades to come, many powerful people and groups became members of the Fabian Society or became associated through various partnerships and funding processes. The Fabians preferred the method of "permeation," or what Margaret (Postgate) Cole termed the "honeycomb" effect. Instead of undertaking direct confrontational action, for example, by aligning themselves with working-class trade unionism or other militant socialists, the Fabians sought to change the system from within, and would achieve this by a process of infiltration. Through their great intellectual weight, they would "persuade" members of government (whatever the Party), civil servants, and other people in power that ameliorating the plight of the less fortunate in society was a necessary and just cause. They achieved a measurable success at this because they possessed among their small number some of the best minds and celebrities of the time. The window depicts Sidney Webb and G.B. 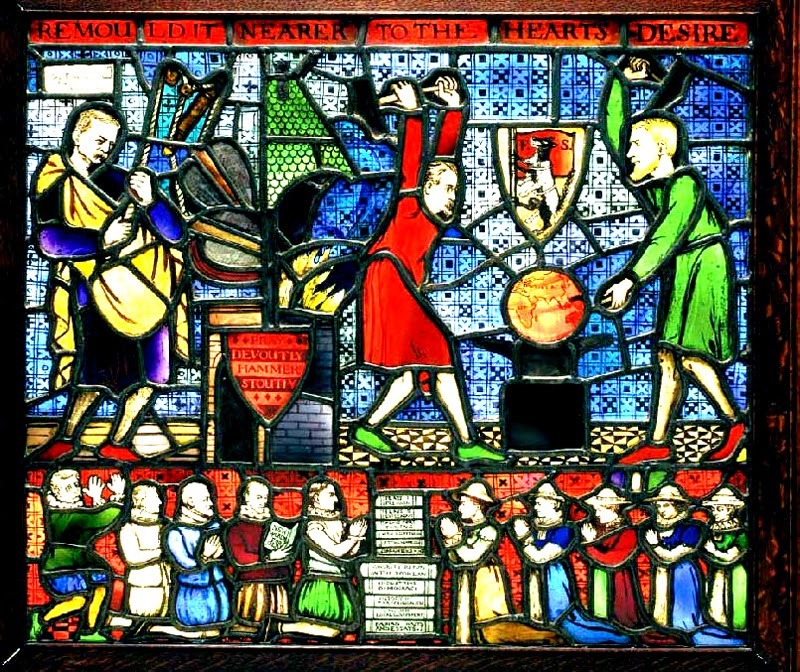 Shaw (with hammers), Edward Pease (bellows) and other Fabians actively creating a "new world," and says "remould it nearer to the heart's desire" i.e. the whole world is to be governed by a socialist dictatorship designed and built by the Fabians. This line is taken from a poem written by the Iranian, Omar Khayyam; you can read that here (XCIX stanza). On 25th January 1884, Fabian J.G. Stapleton read a paper, Social Conditions in England with a View to Social Reconstruction or Development, which was the first lecture of many to come. In April 1884, the first pamphlet was distributed, entitled Why Are We Poor? By 1886 there were four leading figures of the Fabian Society, dubbed the "Big Four": G. B. Shaw, Graham Wallas, Sidney Webb, and Sidney Oliver. By 1889, 6500 tracts had been distributed and 721 lectures had been given by 31 speakers. 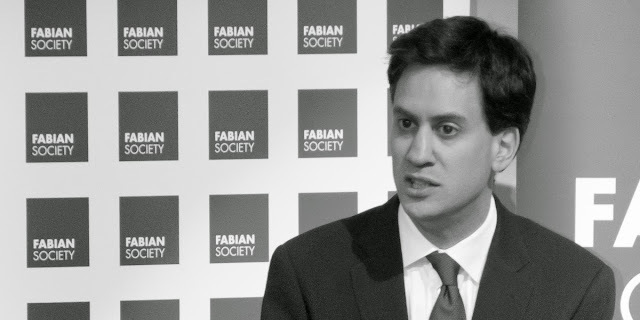 Between 1891 and 1892 one hundred and seventeen Fabians delivered 3,339 lectures and membership had grown to 400. 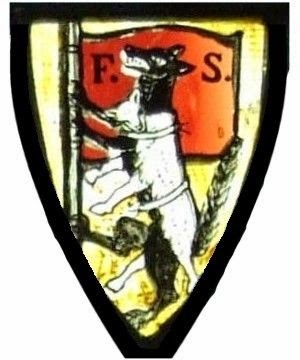 At this time, the Fabian Society became associated with the Second Socialist International (est. 1889) and helped set up a Democratic Socialist State in Great Britain. Over the next few years more people joined: there were 681 members in 1894 and 881 in 1899. By this time there were chapters set up in Canada, Australia, New Zealand, India, South Africa, Spain, Denmark, and Germany. In 1899, the most noted work on Fabian Socialism, Fabian Essays in Socialism, was produced by seven Fabian members and became the blueprint for socialist legislation. 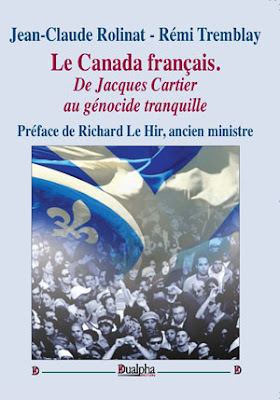 It sold hundreds of thousands of copies, was reprinted several times and translated into numerous languages. You can read it here. Another book written and edited by nine second generation Fabians, titled New Fabian Essays, was published in 1952. Prior to becoming a member of the Fabian Society, H.G. Wells had written Anticipations: Of the Reaction of Mechanical and Scientific Progress upon Human life and Thought (1901). Influenced by Plato's The Republic, in Anticipations Wells details the rise of the "New Republic," a system of world governance and scientific control. He describes its "more developed phases…as a sort of outspoken secret society with which even the prominent men of the ostensible state may be openly affiliated" and "there are no doubt elements of technical treason." He goes on to say that the New Republicans "will constitute an informal and open freemasonry. In all sorts of ways they will be influencing and controlling the apparatus of the ostensible governments…" (Chapter VIII). In January 1902, the then secretary of the Fabian Society, Edward Pease, wrote to Wells to say that Sidney Webb and his wife were "pioneers of your New Republic." In February 1903, Wells became a member of the Society and during his membership wrote several non-fiction works, stories, pamphlets, and novels, including A Modern Utopia (1905). Since the beginning of his membership Wells was openly critical of the Fabian Society. He became increasingly disappointed with it, criticizing its lack of radical reforms and explicit propaganda, and its lip-service pandering to the middle class rather than the lower classes. In 1906 he wrote a pamphlet called the Faults of the Fabians outlining his goals of reorganizing the Society. Of course, this was not favoured by the "inner circle" and in September 1908 Wells resigned. Wells later denounced the Fabians as "the new Machiavellians" (Dobbs, 1964). Nevertheless, Wells continued to be a staunch advocate of socialism, and, during World War II, he wrote the first draft of what was later to become the Universal Declaration of Human Rights (1948). In 1928 he published Open Conspiracy: Blueprints for a World Revolution. In this work he elaborated his ideas of the New Republic and ideas from his 1926 book The World of William Clissold, which detailed a seven-point program for the development of the "new human community" (you can read this here). open conspiracy...will have become a great world movement as widespread and evident as Socialism and Communism. It will largely have taken the place of these movements. It will be more, it will be a world-religion. This large, loose, assimilatory mass of groups and societies will be definitely and obviously attempting to swallow up the entire population of the world and become the new human community (p. 59, my emphasis). In The World of William Clissold he also writes: "we can weave a world system of monetary and economic activities, while the politicians, the diplomatists, and the soldiers are still too busy with their ancient and habitual antics to realise what we are doing" (p. 621). This "open conspiracy," according to Wells, was "not a project to overthrow existing governments by insurrectionary attacks, but to supersede them by disregard. It does not want to destroy them or alter their forms but to make them negligible by replacing their functions" (p. 622). The New Republicans will also be selective: "What is useful to them it will use; what is useless it will efface by its stronger reality" (p. 622, Ibid). Part of the strategy of the Fabian Society for gaining power gradually was infiltration and replacement. It sought allies in the universities, Churches, and newspapers, trained speakers, writers, and politicians, and indoctrinated young scholars who would eventually infiltrate educational institutions, government agencies, and political parties to promote Fabian socialism. For example, Henry Hutchinson, a Derby Fabian, left a generous sum of money (£20,000) to the Society for "propaganda and other purposes," which was "used by the Webbs, Graham Wallas and G.B. Shaw to found a research institute to provide proof positive of the collectivist ideal." In 1895 the Webbs, Shaw, and Wallas set up this institute as a branch of the University of London, called the "London School of Economics and Political Science" (LSE). According to Kerry Bolton it "provides an influential means by which Big Business can foster its [Fabian Society] aims" (Kerry Bolton, Revolution from Above: Manufacturing 'Dissent' in the New World Order, Arktos, 2011, p. 102). According to the UK Fabian Society's own website, "[t]oday, the Fabian Society and the LSE continue to work closely together." In relation to Big Business, the Fabian LSE has been funded by members associated with the financial assets accrued from BEIC as stated above. The major financial contributors include the Indian millionaire Ratan Tata, the Rockefeller Foundation (in 1923 it contributed $1 million and between 1929-1952 it contributed $4,105,592), the Rothschilds, Sir Julius Wernher, Carnegie United Kingdom Trust, Mrs. Ernest Elmhurst, widow of Willard Straight who was partner of J.P. Morgan, and Sir Ernest Cassel (and just recently, £1.5 million from Saif al-Islam Gaddafi). According to Bolton, a friend of Ernest Cassel (1852-1921), Lord Haldane, said: "Our object is to make this institution a place to raise and train the bureaucracy of the future Socialist state" (Bolton, p. 102). Cassel was a major merchant banker and capitalist, and a partner of Kuhn, Loeb & Co. and Vickers Maxim Armaments. This obviously begs a particular question: why did major capitalists and international finance organisations want to train the bureaucracy for the creation of a future socialist state? Isn't socialism, in its very essence, antithetical to capitalism? H.G. Wells explains this seeming paradox, in part, in something he wrote in 1920: "Big Business is in no means antipathetic to Communism. The larger big business grows the more it approximates Collectivism. It is the upper road of the few instead of the lower road of the masses to Collectivism" (Russia in the Shadows, Chapter VII, 'The Envoy', 1920). In other words, not only is Fabian Socialism different from Marxist Socialism by strategy, it is also different by source of revolutionary potential: wealthy elites (intellectual, political, economic) rather than proletarians (working classes). In 1905, American Fabians established the Rand School of Social Science in New York City and incorporated the Intercollegiate Socialist Society to promote "an intelligent interest in socialism among college men and women." A founding member was American Fabian John Dewey, considered the father of progressive education, and an atheist, socialist, and evolutionist. In 1921 the Fabian Rand School changed its name to "The League for Industrial Democracy" and established a network of 125 chapters with the aim of de-Christianising America. Dewey became president of it in 1941. Dewy also co-founded the New School for Social Research (NSSR) in 1919, which is a Fabian-socialist institution that is the American equivalent to LSE. This school, funded by the Rockefeller Foundation ($208,100 between 1940 and 1944) and the Carnegie Corporation ($95,000 in 1940) among others, set up the Graduate Faculty on Political and Social Science in 1933, called the "University in Exile," and aimed to "accommodate the large number of socialist intellectuals" who fled or were expelled from Hitler's Germany (Bolton, p. 112-113). In Canada the League for Social Reconstruction was set up in 1932, which was a socialist organisation associated with Fabianism and worked closely with the Co-operative Commonwealth Federation (CCF). The CCF and the New Democrat Party wanted a counter-part to the UK-based Fabian Society and in 1971 the Douglas-Coldwell Foundation was established, with Tommy Douglas as founding president who stated the Foundation would be: "A gadfly to provoke discussion…to keep the movements on the left — whether the co-operative movement, the trade union movement or the political movement — from getting in a rut." They are currently based in Ottawa. In the late 1890s the Fabian Society founded the Labor Representation Committee, which became the Labour Party in 1906. In 1918 the Labour Party adopted a program that implemented the ideas of Fabianism. In 1931 the New Fabian Research Bureau was formed, joining the Fabian Society in 1938. In 1940 the Colonial Bureau of the Fabian Society was established and in 1941 the Fabian International Bureau was formed to cater to international interests. In December 1942 Sir William Beveridge made promises to Britons if they accepted the outlined social reforms published in his Beveridge Report. In 1945, thanks to this report, Fabian socialists took over the House of Commons (over half of the members of Parliament for the Labour Party were Fabians) and created the Labour government. Within a few years British industries and services had been nationalised and were under government control. For example, in 1946 the Bank of England, which had been privately owned by shareholders since the mid-17th century, was nationalised (came under the ownership of the Fabian created Labour government) and became the central bank of England. Over the span of just over half a century, from the Fabian Society's inception in 1884 to 1945, when the Fabian-created Labour party became an established British power, Fabian Society membership had swelled to 8,400 members. Currently, there are around 7000 UK Fabian Society members and, according to the UK website, "[a]round 80% of our members are also members of the Labour Party." Over the last 20 years, many Labour leaders and Prime Ministers have been Fabians, such as Tony Blair (PM 1997-2007), Robin Cook (Foreign Secretary 1997-2001), David Blunkett (Home Secretary 2001-2004), Gordon Brown (PM 2007-2010), and Jack Straw (leader, House of Commons, 2006-2007). In addition, "well over 200 parliamentarians are members and the Fabian Society continues to be at the heart of the Labour movement." The UK Labour Party is now the leading advocate of the social engineering project that aims to transform the national character and ethnic identity of Great Britain. As an attempt to "rub the Right's nose in diversity,", it has pushed for open-borders and Third World mass-immigration and mandated immigrant multiculturalism as a "right," while simultaneously condemning and silencing British indigenous people's legitimate criticisms of these non-democratic, top-down enforced practices and policies. Good Lord! Ms. Ellis! I had no idea! You see? This is why a kind of “tertiary education” is important in the blog-o-sphere. I know about the Frankfurt School but never thought about who might have influenced it. Notice the blatant irony in their policies: promoting anti-capitalism whilst all the time they attained their fortunes through capitalism. Dr. Jones also discusses the evils of freemasonry in many of his published works. Dr. Jones also references John Dewey. “It will be more, it will be a world-religion.” -Very telling of the cultural Marxism that is alive today – a religion. I’ve heard of Kerry’s book (through counter-currents.com) but never heard it quoted in an essay until today. Methinks I will purchase his book also. Also, I never knew of the Canadian connection to the Fabian Society; thank you for pointing that out. Also, Ms. Ellis, have you ever heard of the speeches from the Late Jonathan Bowden? Enoch Powell has left a new comment on your post "The Socialist-Capitalist Alliance..."
I’ve heard of Kerry Bolton’s book, but never heard it quoted in an essay until today. Methinks I will purchase his book also. Making these connections are quite important to our understanding, and yes! there is much hypocrisy and many double-standards associated with 20th century ‘socialism’ and its version today. You can read information pertaining to freemasonry and its relation with British imperialism and the BEIC on the web here: http://www.academia.edu/3549069/Freemasonry_in_British_India_1728-1888 and here: http://www.freemasonrytoday.com/features/tag/East%20India%20Company and elsewhere. Thank you so much for the links, Ms. Ellis. It's wonderful to have scholars on our (European) side to engage in "kulturkampf" (or cultural warfare) to defend our European cultural roots. I'm looking forward to reading part three of this article. Who funds it now? It seems to have stepped beyond its original mandate, and its membership now fulfilling the role of useful idiots. Good article. One thing that strikes me, in contrast to the picture of Ed Miliband, is the very 'WASP' nature of the Fabians, and by extension of English socialism in general - these are mostly upper-middle-class ethnic-Protestant Englishmen, where US socialist intellectuals are mostly Jewish. I did not know about the East India Company connection, but it makes sense in hindsight. A messianically optimistic belief that you can transform an ancient, advanced and deep-rooted civilisation to your own ends must come more easily when you have done something similar already. Celebrating diversity, it would appear to me, far from being a strength, seems instead an altogether weaker position than celebrating the things we have in common.